Professor Rob Heinsohn said while songbirds and whales can belt out a musical tune, few species recognise a beat. But the shy and elusive palm cockatoo, iconic to Cape York Peninsula in far North Queensland, plays the drums and crafts the sticks. 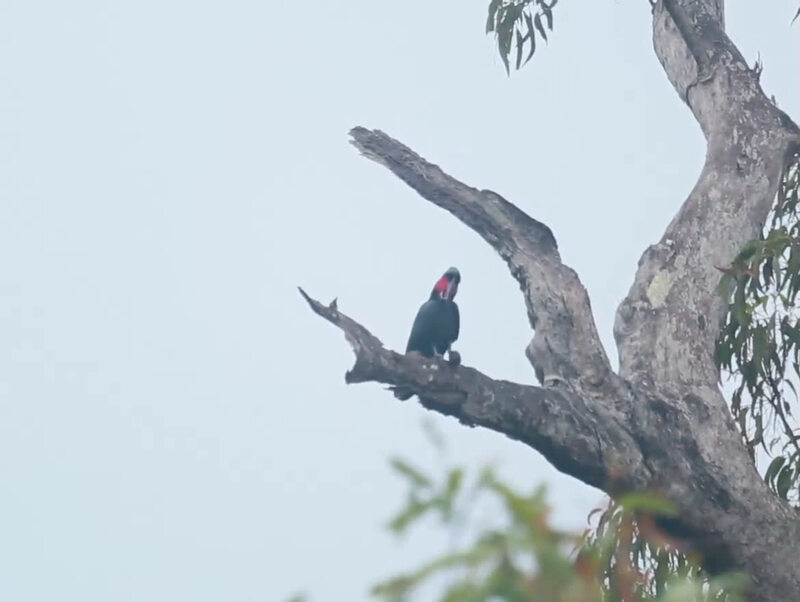 "The large smoky-grey parrots fashion thick sticks from branches, grip them with their feet and bang them on trunks and tree hollows, all the while displaying to females," said Professor Heinsohn, from the ANU Fenner School of Environment and Society. "The icing on the cake is that the taps are almost perfectly spaced over very long sequences, just like a human drummer would do when holding a regular beat." 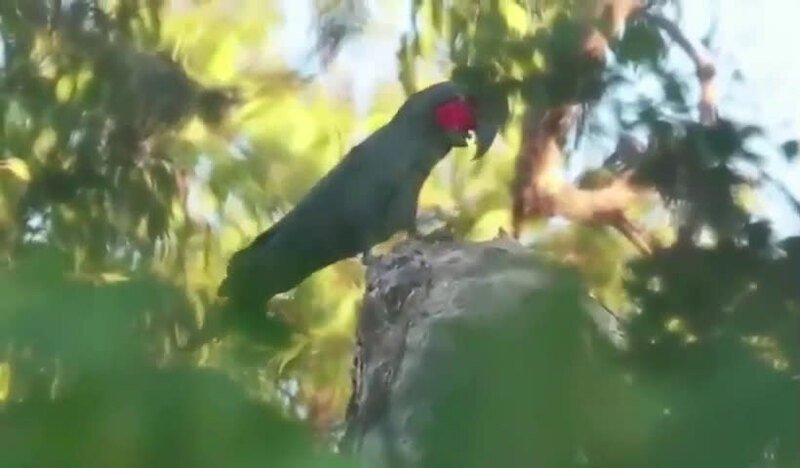 Professor Heinsohn said the palm cockatoo's ability to drum has been known for a long time but this is the first research to secure the footage to analyse it. This was slowly acquired over the seven year study by patiently stalking the birds through the rainforest with a video camera. "Each of 18 male palm cockatoos, known for their shyness and elusiveness, was shown to have its own style or drumming signature," said Professor Heinsohn. "Some males were consistently fast, some were slow, while others loved a little flourish at the beginning. "Such individual styles might allow other birds to recognise who it is drumming from a long way away." The palm cockatoo drumming is part of the species courtship ritual that involves a lot of calls and movements to attract a mate. 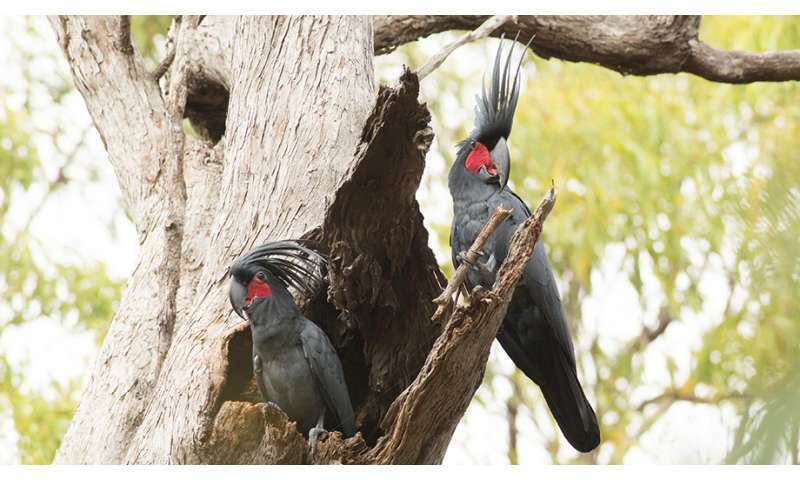 The research is part of a broader study of the palm cockatoo's conservation needs on Cape York Peninsula where they suffer low breeding success and loss of habitat due to mining activity.